A set of 5 freestanding lace crochet machine embroidery designs. 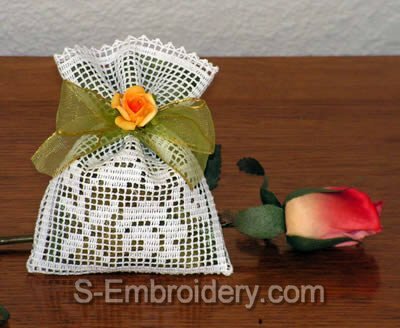 Use it to create elegant lavender or rose sachets. 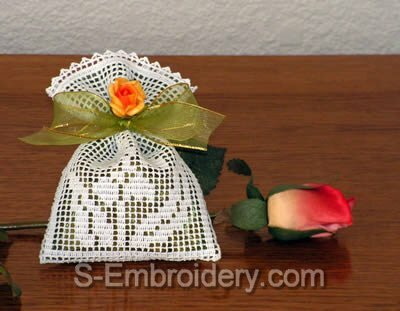 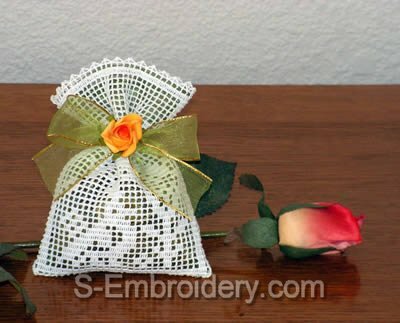 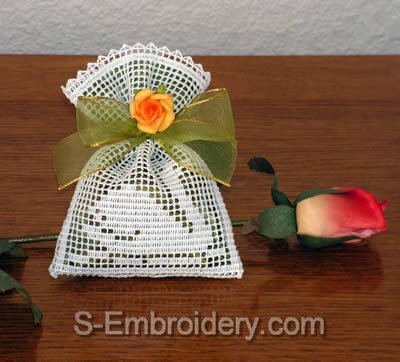 You receive 5 machine embroidery files and a PDF file with design information and instructions for producing the sachets.